We are back to a normal week on the PGA Tour this week, after last week’s limited-field WGC event and therefore there will be a full field of players to choose from this time around, giving us a better chance of assembling some different looking line-ups and find some value. Hosted event since its inception in 2000. Tee-to-green play (Strokes-Gained: Tee to green) – This week it is more about the logical tee shot, rather than bombing it off the tee, as we have seen in recent week, this brings a lot more players into play. Each of the last four winners have posted a top-10 prior to getting their win. No one player has defended their title in 15 renewals of this event, although there are two 2-time winners (K.J Choi & Retief Goosen). With the trends, stats and course/current form in mind, here are my picks in each category. Jordan Spieth ($12,800) – Defending champion and somewhat course specialist over three starts, finishing 1st, 20th and 7th since 2013. He is struggling to put it together for four rounds at the moment, but although he’s finished 17th, MC and 21st on his last three starts, it was only 9 weeks ago that he started his 1st, 5th, 2nd three event stretch. This event will suit him most out of the events he has played on home soil in 2016 and I strongly believe he will get bounce back here with a big week. I wouldn’t want to put him in all line-ups as his salary does limit you to $7,440 per player for your next 5, which makes things tough. It is feasible to put him in a couple of line-ups, but I will also be creating a few without him in order to stack my roster. Justin Thomas ($10,000) – Finished T35 at Doral last week, where it would have been a big ask for him to contend on course debut. Last year’s Rookie of the Year finished 10th here last time out on his course debut, just one of his seven top-10’s he posted in his first full season. Thomas won his first PGA Tour event back in November (CIMB Classic), outlasting recent back-to-back winner – Adam Scott. He looks set for a big future on Tour, and his 3rd place finish at the Honda Classic was a gentle reminder of what we can expect of him this season and beyond. If he can build and improve on his showings over the last two weeks, he can definitely contend here. The price seems steep for someone who has only won once and has only played the course on one occasion, but it’s still early in his career and a top-10 finish on debut last year is extremely promising. Jason Dufner ($9,400) – I love Dufner’s chances of winning this week after such a great performance at Doral last week. He finished T11th on a course that it much more suited to the bigger-hitters on Tour, of which Dufner isn’t. He has solid course form here, as in 8 starts here (most recent first) he has finished: 24th, 14th, 21st, 10th, 28th, 28th, 17th, MC. With just one missed cut in 8 starts, of which came on his debut, he clearly has an affinity with this course. Thanks to already posting the ever-important top-10 finish (10th in 2012) I am even more confident he can go well and I can see him improving on that this week and really get himself in contention. K.J Choi ($8,800) – K.J Choi along with Dufner is another player I have bet on this week, just purely because he offers great value. He has not played great here since finishing 2nd in 2010 (finished no higher than 21st and missed two cuts) but he is in solid form this season. He is the all-time money leader at this event, and in his last four starts on Tour he has finished 2nd at Torrey Pines, 5th at Northern Trust Open on last start and finished T17 at Phoenix so he looks in control of his game. His salary may seem high given he doesn’t win much these days (hasn’t won since 2011) but if he is going to win again any time soon, this may be one of the best chances he has. Gary Woodland ($8,400) – Gary Woodland is 7/7 for cuts made this season, and although he hasn’t played spectacularly (no top-10s) he has played solidly (3 top-25s) so he’s in good enough form. Course form here (most recent first) reads: MC, 8th, MC, 29th, 1st, so it’s a bit of a mixed bag, but generally he plays very well here. He won the event back in 2011 on his course debut, and followed that up with a 29th place finish in 2012. He missed the cut for the first time in 2013, but he had missed the cut and finished 68th on his last two starts prior to this event that year so was out of form. In 2014 he bounced right back with an 8th place finish after finishing 16th at the WGC Cadillac the week before, confirming he is well suited to this course if in form. The 7 out of 7 cuts made is obviously a big part of picking him this week, but a win and a top-10 in five starts also makes a huge difference, and he looks decent value at the lower-end of the $8,000 range. Sean O’Hair ($7,800) – Sean O’Hair was the third selection in my betting preview, after Dufner and Choi and I really do think he’s in for another big week here at Copperhead. He lost out in a play-off to Jordan Spieth last year, as did Patrick Reed, but O’Hair is a former winner of this event, winning back in 2008, but his finishes in-between may put people off and keep his ownership down slightly. Between 2009-2014 he missed four cuts and when he did make the weekend he finished 69th and 74th so that is hardly promising, but I am happy to ignore that this year. His 2nd place finish here last year really got him going again on Tour as he posted a further two top-10 finishes and another five top-20’s since that week so he should return here in good spirits. O’Hair was 14th on his last start at the Honda Classic and 35th at Pebble Beach and before he came 2nd here last year he finished 25th and 29th at those events respectively, so he’s arguably in a shade better form than he was last time around. There’s a lot of positive signs and I think he is the perfect mid-range selection this week. 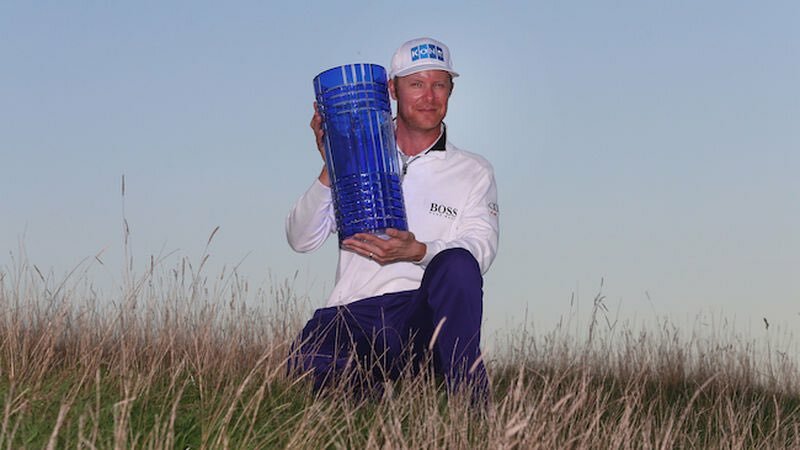 John Senden ($7,200) – The 2014 champion has some good course-form under his belt apart from his win, including a pair of runner-up finishes back-to-back in 2007/2008, and also a 15th place finish in 2010. Missing the cut in a third of his starts here isn’t the most encouraging stat, but he has never really been the most consistent of golfers. I am happy to roll the dice with him this week based on the fact he finished 10th at the Honda Classic two weeks ago, but he is a fairly risky play, as he is most weeks. He is only 5/9 for cuts made this year, so you are taking a chance but he may also be a good risk/reward type at the lower end of the $7,000 mark. Chesson Hadley ($6,400) – Hadley is really hard to predict, one minute he looks like he could play himself into contention and the next he’s missing back-to-back cuts, either way he’s going to be a risky play, but on two starts here he has fared well enough to be considered. On course debut in his rookie season, Hadley finished a very respectable 14th place, he had however won the Puerto Rico Open the week before so would have been at the top of his game. Fast-forward a year and Hadley teed it up here again, but with less success. He still made the weekend, however finished 30 places lower in 44th place. Given his low salary this week, if he could find a finish between 14th and 44th you would be content, although you’ll obviously be hoping for the former. I am hoping his 21st place finish at the Honda Classic two weeks ago has given the confidence to come back here and produce a week similar to that of the one in 2014, and I do think he’s a good value play this week. Sam Saunders ($5,900) – There are not a whole host of players I like at the sub-$7000 range this week, that’s why they are available at the price they are, but Saunders may just be one of the players that has been overlooked this week. He’s played 9 events this year and made just 2 cuts, so there’s a clear negative against him already, however when he makes the weekend he seems to perform. At the OHL Classic back in November he finished T29 and two weeks ago he finished T14 at the Honda Classic. Well-known for being “Arnold Palmer’s Grandson”, Saunders I am sure loves his Grandfather as much as the public do, but he will also no doubt be trying to create his own identity out here on Tour, and he will be hoping to make it a further impression this week. Saunders finished 24th here last year, backing up his 2nd place finish at the Puerto Rico the week before, however much like this season he didn’t get off to the best of starts. He had made just 2/9 cuts before Puerto Rico and had missed the last seven straight, so he clearly just manages to turn it on, on courses he likes. If Saunders can replicate his 24th place finish from last year or even better it, he look like a steal at $5,900 and I am willing to chance that he makes the cut.